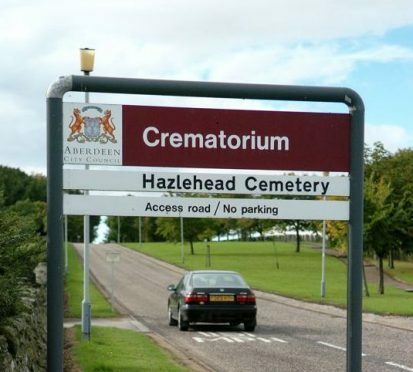 A new report into working practices at Aberdeen’s much-criticised crematorium has found all ashes were returned and no complaints were received this year. Council chiefs ordered new regulatory measures to be implemented after a damning review from Dame Elish Angiolini into the Hazlehead site, which highlighted that “unethical and abhorrent practices” took place for many years at the local authority-run service. However, it emerged yesterday the man at the centre of the scandal, council infrastructure director Pete Leonard, has had another sick line signed by his bosses. Mr Leonard, who receives an annual salary of more than £100,000, was heavily criticised in the Dame Elish report over his comments about “slow cooking” of babies at the crematorium. He had originally been scheduled to return from holiday on August 15, but failed to appear at a crunch meeting where councillors discussed the authority’s own independent investigation into the scandal. The results of that report by former Bradford council chief executive Richard Penn have never been made public with elected members given just ten minutes to read the findings before handing back the copies. Council chiefs have refused to release the report to the Press and Journal, even under freedom of information laws – arguing it would breach data protection laws. It was found in some cases that an infant coffin was placed at the side of, or on top of, an unrelated adult coffin and both were cremated together – with the infant’s ashes not returned to grieving parents. SNP group leader Stephen Flynn, who attacked the council’s handling of the issue, said he hoped the new report would provide “some reassurance” to the families who had been affected by the tragedy. He added: “We obviously cannot be complacent but I think this shows we are going in the right direction. Infrastructure convener Neil Cooney said the new benchmarking measures had been brought in to prevent any repeat of the scandal. He continued: “The scandal happened because we were totally misinformed of what was happening by a superintendent.